[ Optional ] Datong: Datong is situated in northern Shanxi Province. 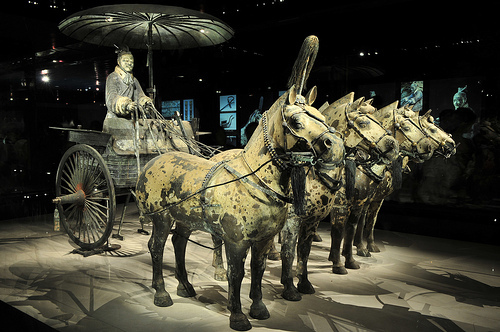 It was the political, economic and military center of ancient North China. 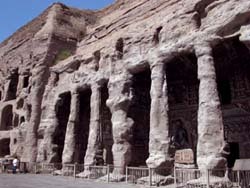 With a history of over 2400 years, Datong was the capital of Northern Wei (386~534) for 96 years, and the 'support capital' of Liao (916~1125) and Jin (1115~1234). Hanging Temple stands at the foot of Mt. Hengshan, 5 kilometers (3 miles) south of Hunyuan County, and 65 kilometers (40 miles) from downtown Datong City. 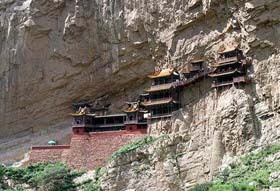 Yungang Grottoes, one of the three major cave clusters in China, punctuate the north cliff of Wuzhou Mountain, Datong. The area was excavated along the mountain, extending 1 km (0.62 miles) from east to west, revealing 53 caves and over 51,000 stone statues. [ Optional ] Datong food: Datong is mainly famous for its various wheaten food. Local people put wheat, pea, buckwheat, soybean sprout, tofu and peanut into boiling cooking pot, add vinegar together, and this type of noodle soup will be their main dish, 3 times everyday. People never get tire of foods made of noodle, and I was told that there are more than 100 kind of different noodle soups, with dozens of different seasoning. Train K7807 Datong to Yuncheng, stops at Pingyao. It depart Datong at 07h45, arrive at Pingyao at 15h06. 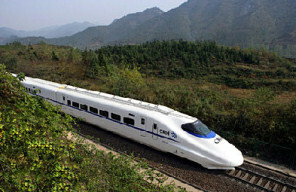 Datong is the start station, it is convenient to book train ticket. Pingyao is the middle of Shanxi Province, it is the best-preserved among the four ancient towns in China. It is the assembly place of folk houses in north China where rows upon rows of buildings in the Ming and Qing Dynasties stand in well-preserved conditions. [ Optional ] Rishengchang Draft Bank: The first draft bank of China, Rishengchang, is situated in the busiest section of Xi Da Jie, which used to be the First Street in the Qing Dynasty. Although it was only a small compound, it was a forerunner of modern banking and once manipulated the economic lifelines of the whole Qing Dynasty in the 19th century. The original city walls of Pingyao were of tamped earth and were located northwest of the present Pingyao city, originally named Pingtao, was built in the early Northern Wei Dynasty. The Shuanglin Temple: Standing for more than 1500 years, the temple is famous for more than 2,000 painted sculptures of precious value, representing Ming and Qing Dynasties' best. 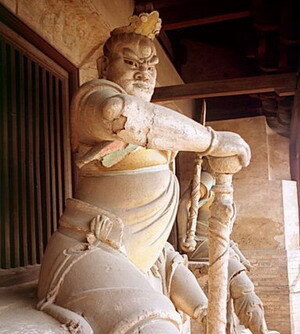 They are reputed as a "treasure reserve of the oriental painted sculptures". It is a representative Shanxi merchant residence. Construction of the Chang family mansion began in the late Ming Dynasty. In 1770, during Qing Emperor Qianlong's reign, large-scale construction was carried out. [ Optional ] Train 2669 Taiyuan to Xian: The train runs from Taiyuan to Xian. Train No. : 2669. It leaves Taiyuan at 21h50, arrives Pingyao at 23h11, leaves Pingyao at 23h14, arrives Xian at 07h46 next day. The train has soft class with 4-berth ordinary soft class sleepers, 6-berth hard class sleepers and hard seats, public toilet (please prepare toilet tissue by yourself), restaurant car available.